After two years of writing, we are pleased to launch the Living the RV Lifestyle eBook. This is the RV guide we wish we could have read ourselves ten years ago. In this book we offer our many lessons learned and suggestions over the past 10 years of living the RV lifestyle. We tackle everything you need to know about the RV lifestyle – from how to choose an RV to how to get Internet access on the road, to must-know towing tips and recommendations for more than 50 places you can visit on your RV. An RV lifestyle can mean different things to different people. It might refer to camping trips, full-service tailgating, extended vacations or a seasonal home for the snowbird. Others think of it as fulltiming, a way to follow NASCAR races or some other hobby, traveling for workamper jobs or traveling for fun. Regardless, you are probably here because the RV lifestyle you have defined for yourself has intrigued you in some way. For us, one day we were talking about refinancing our townhouse. A few exciting months later, we had sold the townhouse and started living fulltime in our RV. We spent a year preparing for our new adventure in RVing – long before we made the dramatic move. We knew what we wanted. We had spent plenty of time churning through lots of information. In this 190-page e-book, Living the RV Lifestyle, is the one-stop RV guide we wish we had 10 years ago. * Instant Access, even at 2am – Guaranteed! 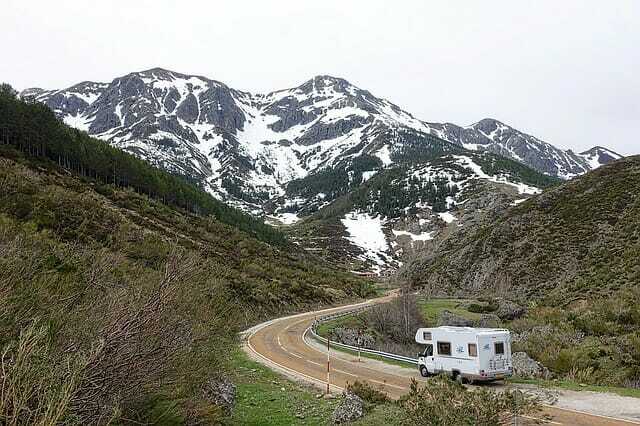 Where to Go on Your RV – key RV-er Tips. Locations covered include the Apache Trail, Verde Valley, Grand Canyon, Hot Springs, Branson Missouri, Southwest Colorado, Montana Glacier National Park, Hershey Pennsylvania, Elkhart Indiana (the RV Capital of the World), Gallup (New Mexico), Oregon Coast, National Monument / Three Maidens (Minnesota), Great River Road (Wisconsin), Route 6 (Pennsylvania), Knife River Indian Villages near Stanton (North Dakota), Amarillo (Texas), Natchez Stanton Hall (Mississippi), Rhode Island, Holden Beach, Pinehurst, Crystal Coast (North Carolina), Hilton Head, Sea Islands, Low Country, Myrtle Beach (South Carolina), Badlands, Black Hills, Deadwood (South Dakota), San Diego (California), Pigeon Forge, Dollywood, Great Smoky Mountains, Nashville (Tennessee), San Antonio (Texas), Cedar Breaks, Zion National Park, Bryce National Park, Arches National Park (Utah), Cody and Yellowstone (Wyoming) and more. P.S This is a digital download ebook. You’ll get instant access to Living the RV Lifestyle. You can read it on PC, Mac, Ipad or even your phone.